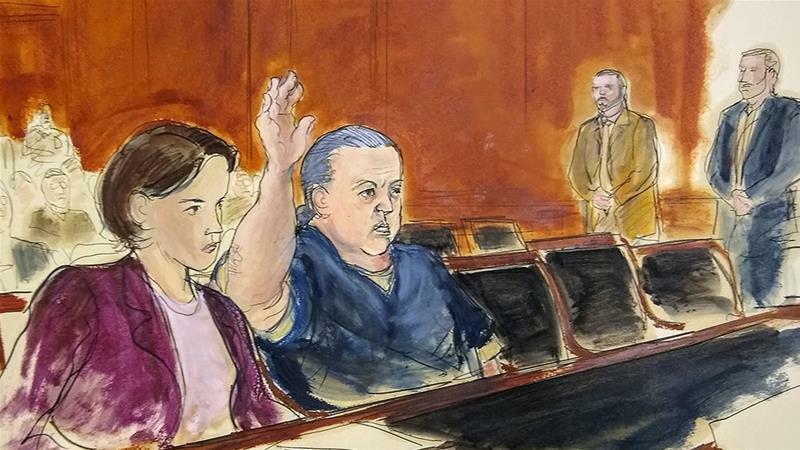 Cesar Sayoc faces the possibility of a life sentence on 65 criminal counts, including using weapons of mass destruction. A Florida man pleaded guilty on Thursday to sending a wave of pipe bombs to CNN and prominent critics of US President Donald Trump, attacks that harmed no one but created fear as the devices turned up, day after day, at locations across the United States. The hunt for the bomber began on October 22 when a device was discovered in a mailbox at an estate in New York City's northern suburbs owned by the billionaire George Soros, a liberal political activist and frequent subject of conspiracy theories. Others targeted by the mailings included former Vice President Joe Biden, California Senator Kamala Harris and New Jersey Senator Cory Booker. Homegrown Domestic Terrorist Trumpcucks, on a jihad against America. Typical left wing loons! including using weapons of mass destruction and illegal mailing of explosives with intent to kill. My understanding is that weren't functional but simply made to look like bombs. I say give him community service and save the life sentence for, say, murderers. Your posts have always seemed like they were from someone down by the river in a van, so I guess I should believe you. Experience matters. May your Chihuahuas live long and prosper. Putting a countdown timer on a mail bomb is a little silly, wouldn't you say? The anthrax that he stole from Saddam Hussein had an expiration date, and he didn't want it to go bad.